You need business technology at your fingertips at all times. CCAR’s mobile applications are secure and powered by automated MLS feeds and exclusive data only available to members. Access the versatile CCAR Mobile App, along with other state of the art tools that will help you better manage business transactions, enhance your marketing and communications efforts and seamlessly share data and conduct business across long distances and invisible jurisdictional barriers. All mobile products are free to CCAR/MLS members and subscribers unless otherwise noted. CCAR’s exclusive mobile application gives members a variety of powerful features. Apple and Android users may download the application for free from iTunes (iOS) and Google Play stores using their MLS authentication information. Once installed, the application provides access to Brokers’ Tour Search, Open House Search and much more. myTheo mobile app provides accurate, dynamic data straight from the MLS updated every 15 minutes. It enales direct email/in-app chat communications synchronized across all devices. Broker Tour information can be managed, monitored and customized anytime, anywhere. 10% discount – myTheo’s EastBay Basic subscription is offered to CCAR members at a 10 percent discount. 20% discount – myTheo’s EastBay Pro subscription can be purchased at a 20 percent discount. Become a Homesnap PRO user and have immediate mobile access to your Paragon contacts, saved searches and listing carts. You can also maintain your on-market listings directly from the Homesnap Pro App. 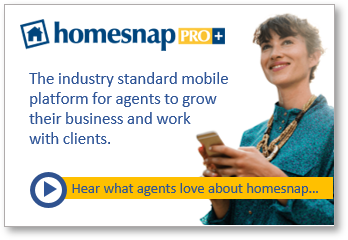 Homesnap is the industry’s national search portal, giving agents and their clients real-time access to the most accurate MLS information available.